The newly opened Classic Air Force Museum located at Newquay Cornwall Airport in Newquay, United Kingdom landed two new jets at its facility last week, a BAC Jet Provost T.5A followed the next day by an Armstrong Whitworth Meteor NF.11. 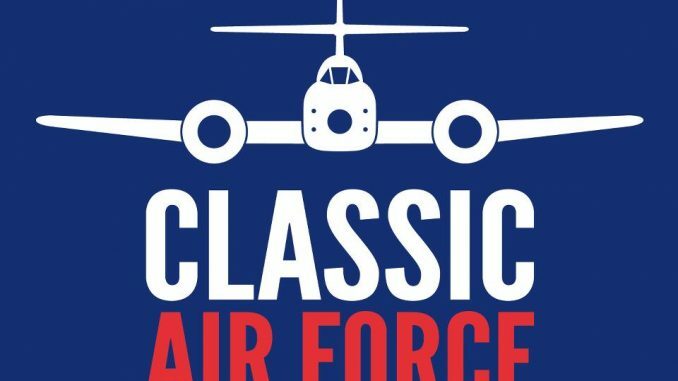 The Museum, which has opened just under two months ago is dedicated to displaying and flying an ever-increasing fleet of historic aircraft as well as offering flight experiences to visitors in iconic planes of the past, operating their aircraft across the UK and overseas, making the planes in their fleet available for displays, flyovers and air shows. 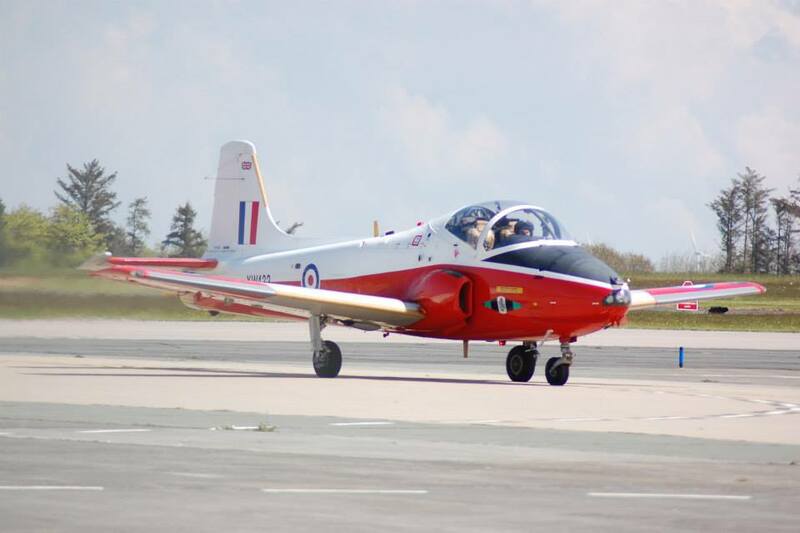 The Jet Provost T.5A that arrived last week, is the second Jet Provost now on display, the other being a T.3A. 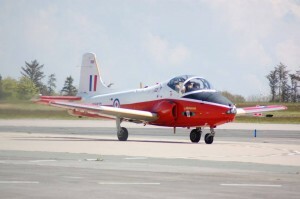 This T.5 was built at the British Aircraft Corporation factory at Warton, Lancashire in 1972 as XW433 and immediately entered service with the Royal Air Force, serving at various training facilities around the UK before being retired from training duties in 1992 when it was assigned to the School of Technical Training at RAF Cosford, staying there for three years before being sent for storage at RAF Shawbury in 1995. As Jet Provosts were very popular in the private market as high performance planes for owners wanting the dynamic thrill of piloting a jet, the plane was soon snapped up and remained in private hands until 2007 when it was acquired by Classic Aircraft Trust, the trust that runs the Classic Air Force Museum who restored it to it’s original RAF Training markings and Serial Number that it sports today. 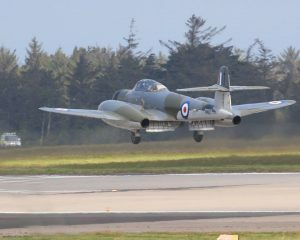 The Armstrong Whitworth Meteor NF.11 is a night fighter variant of the iconic Gloster Meteor, reportedly the only flying example of its kind left out of a total of 600 night fighter produced. 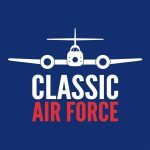 The was built by Armstrong Whitworth under licence at their Baginton Coventry plant in 1952 when the plane went into service for an unusual career that never saw it assigned to a squadron, rather spending its time assigned to equipment trials, flight tests and target towing experiments. The plane entered private hands in 1984 and was one of the first jet warbirds to be civilianized in what was to become a growing movement. 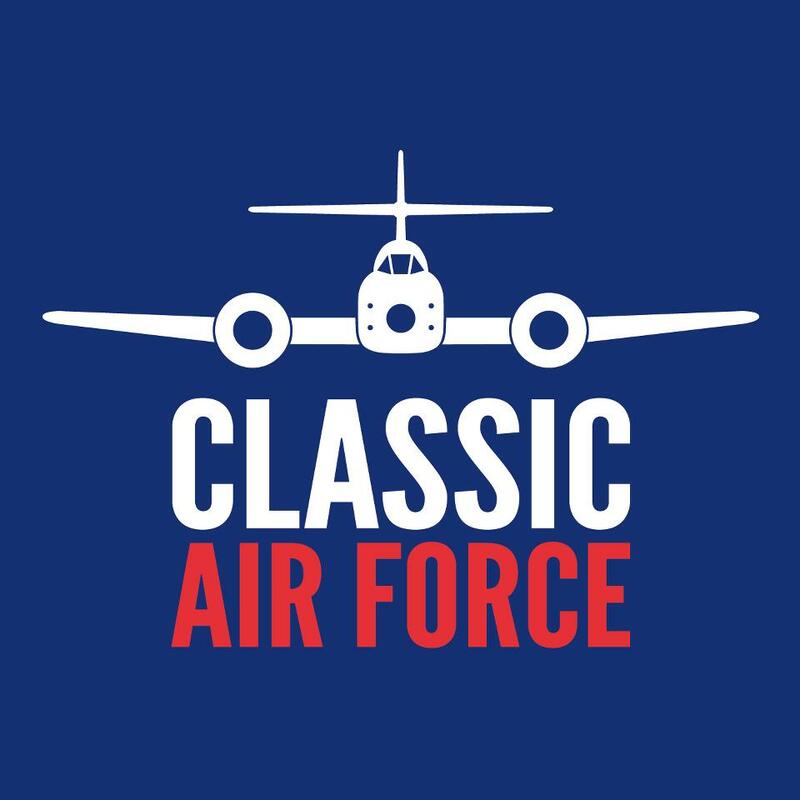 The plane was to become a regular on the UK and European air show circuit for many years before it entered the Classic Flight collection, and bears the authentic camouflage and unit markings of 141 Squadron, RAF Coltishall, with which her sister aircraft flew between 1951 and 1954.